Davis Dyslexia Correction builds reading comprehension skills by giving students the ability to link pictures to words as they read. Clay modeling is used to create a permanent mental picture for the small, abstract, function words of language — words like if, and, & from. For reading text, the student practices daily using Davis “Picture at Punctuation.” With this technique, the reader pauses whenever encountering punctuation such as a comma or period (full stop), and forms a mental picture to represent the meaning of the clause or sentence just read. 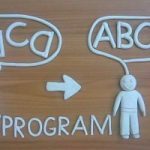 This process gives the dyslexic reader the ability to harness the imagination and use it to express what the writer intended. The use of visualization to build comprehension skills is supported by a substantial body of research. By adding an understanding of the impact of punctuation and small abstract words, the Davis approach provides a particularly powerful tool that can be used by readers of all skill levels. Anderson, R.C., & Kulhavy, R.W. (1972). Imagery and prose learning. Journal of Educational Psychology, 63, 242-243. Center, Y., Freeman, L., Robertson, G. and Outhred, L. (1999), The effect of visual imagery training on the reading and listening comprehension of low listening comprehenders in Year 2.Journal of Research in Reading, 22: 241–256. Clark, F.L., Deshler, D.D., Schumaker, J.B. et al. (1984). Visual imagery and self-questioning starategies to improve comprehension of written material. Journal of Learning Disabilities, 17(3) 145-149. Gambrell, L.B. (1982). Induced mental imagery and the text prediction performance of first and third graders. In J.A. Niles & L.A. Harris (Eds. ), New inquiries in reading research and instruction (31st yearbook of the National Reading Conference, pp. 131-135). Rochester, NY: National Reading Conference. Gambrell, L.B., & Bales, R.J. (1986). Mental imagery and the comprehension-monitoring performance of fourth- and fifth-grade poor readers. Reading Research Quarterly, 21, 454-464. Gambrell, L.B., & Jawitz, P.B. (1993). 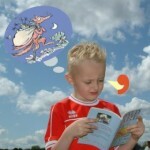 Mental imagery, text illustrations, and children’s story comprehension and recall. Reading Research Quarterly, 28, 264-276. Gambrell, L.B., & Koskinen, P.S. (2002). Imagery: A strategy for enhancing comprehension. In C. C. Block & M. Pressley (Eds. ), Comprehension instruction: Research-based best practices (pp. 305-318). New York: Guilford Press. Just, M.A., Newman, S.D., Keller, T.A., et al. (2004) Imagery in sentence comprehension: an fMRI study. NeuroImage 21(1): 112-124. Pressley, G.M. (1976). Mental imagery helps eight-year-olds remember what they read. Journal of Educational Psychology, 68, 355-359. Steingart, S.K., & Glock, M.D. (1979). Imagery and the recall of connected discourse. Reading Research Quarterly, 15, 66-83. Using Visual Imagery for Reading Comprehension. Retrieved April 21, 2019 from Davis Dyslexia Association International. Dyslexia the Gift website: http://www.dyslexia.com/?p=2339.